It’s finally time for the outdoors! While we all been training since last September, most fans have been anxiously awaiting another outdoor season to begin. Well the 2011 Lucas Oil Outdoor Nationals are now. I’m on my way to Hangtown as I type. I cannot wait! This whole season is something to look forward to but the opener has a special kick to it! It’s a fresh look at all the athletes. Everyone has a clean slate and a chance to show what they got. You’ve had a sneak peak of the men during their super cross season, which has proved to be action packed. Although no one has really seen much of the women since last September. You don’t really know who’s riding what, for who, or what’s changed and paid off in their programs. Hangtown is almost twice as exciting for the women’s class since it’s the first big event of the year for us. I’m not knocking the men! There’s no doubt in my mind that both classes are going to shape up to be some of the best outdoor title battles we’ve ever seen… I’m just saying everyone should tune into the women’s series too because it’s going to be a good one! We race the same tracks. We make sacrifices. We train just as much. We all want to win. 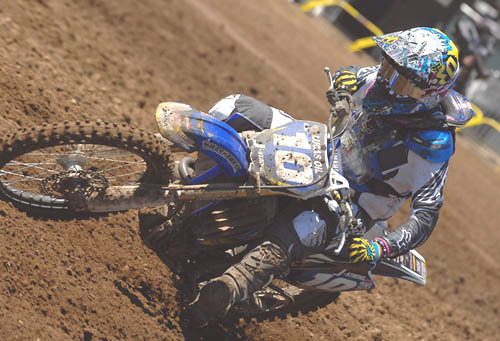 And there are just as many, if not more, title contenders in the WMX class. I promise you won’t be bored or unsatisfied with the show you see this year from the WMX, 250, or 450 class. If you don’t know me very well. My name is Jacqueline Strong. I am 18 years old and I live in Sedona, AZ. Last year I finished 10th overall in the WMX class and placed 5th at X-Games. I’ve made some changes this year in pursuit of lowering the #10 on my bike. 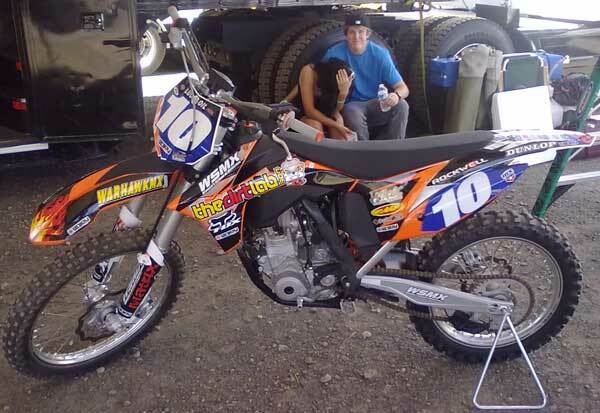 The biggest visual change would be that I now ride KTMs instead of Yamahas. That’s definitely proved to be a great decision. I’ve never loved a bike so much. It is an incredible race machine and fits perfectly with my riding style. I’m healthy mentally and physically. I have amazing support from my family, friends, sponsors, and my mechanic Gus Walker. I’m ready to go racing! Hope you’ll keep tabs on me and follow the WMX Series! I’d like to give a big thanks to all my 2011 sponsors. It wouldn’t be possible for me to live my dream without you. I love you all very much and am so grateful.